Can you really have too much of a good thing? 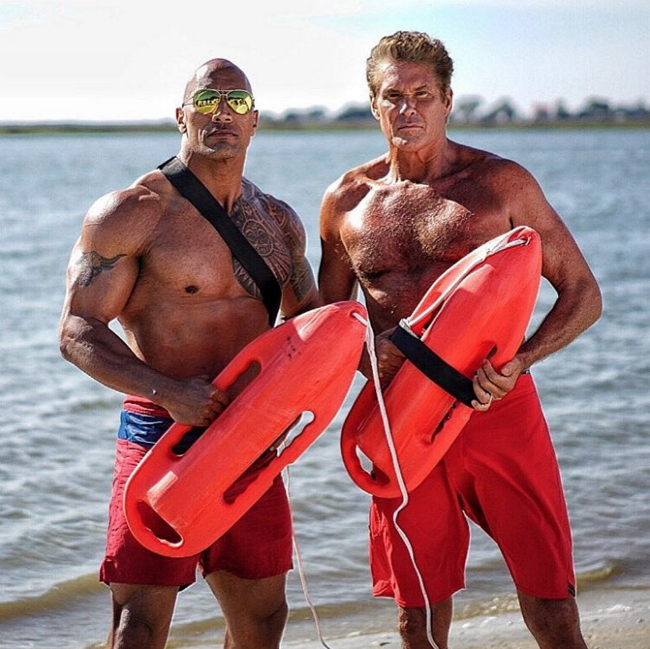 Hoping to put that theory to the sword are Dwayne Johnson and David Hasselhoff, who both feature in the latest still for Seth Gordon’s Baywatch reboot. Donning the iconic red trunks as Mitch Buchannon and, er, Mitch Buchannon, news of the Hoff making a cameo appearance in Paramount’s action flick first came to light towards the beginning of this month, though exactly how Hasselhoff will fit into the ensemble cast is still up for question. That legacy started all the way back in 1989 when Baywatch became a sizzling hot fixture on NBC’s slate. Embracing its cult status, Hasselhoff, Pamela Anderson and Co. went on to become small-screen icons. Among the cast that will be carrying the torch for a new generation are Cathal Pendred, Zac Efron, Alexandra Daddario, Kelly Rohrbach, Ilfenesh Hadera, Jon Bass, Priyanka Chopra, Yahya Abdul-Mateen II, and David Hasselhoff. 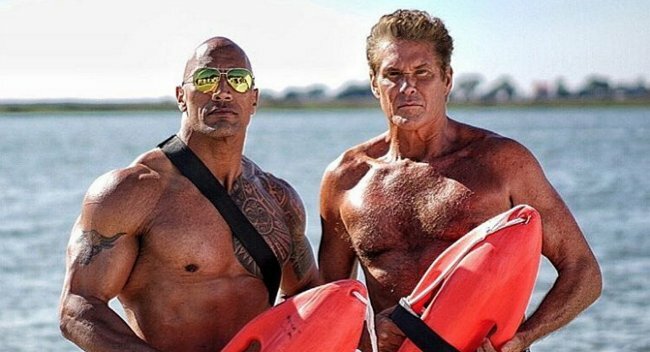 Baywatch will trot into theatres on May 19, 2017 – where it will be making its bow opposite Warner Bros. and New Line’s horror sequel, Annabelle 2.